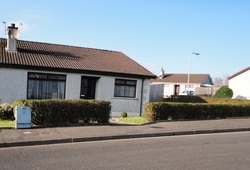 Seahaven Bungalow is a three bedroom semi-detached bungalow offering self catering holiday accommodation in a quiet residential area of Portstewart , a gentle ten minute stroll from the prom. It has lawns to the front and side. The rear garden can be fully enclosed making it a very safe place for children to play. There is a lockup garage and off road parking. Seahaven Bungalow has a bright comfortable living room with TV, DVD player and bookcase with a good range of books and magazines . It has a modern well equipped kitchen /dining room and a recently fitted bathroom with over bath electric shower. The dining room table is adjustable to seat four,six or eight guests. There is one double bedroom, one twin and one single/small double (4ft bed). Bed linen and towels are provided. The bungalow has oil fired central heating. Children are very welcome and a travel cot and high chair are available. Please make any special requests known in advance and we will do our best to help. Seahaven Bungalow is located in a very quiet area, yet within easy walking distance of all the amenities in Portstewart- less than 10 min walk to the Promenade, shops, paddling pool, play park, restaurants etc. Just a 5 minute drive will take you to Portstewart Golf Course and to the nearby Blue Flag beach at Portsrewart Strand. Seahaven Drive is off the main Coleraine Road, just a 3 minute drive to Tesco, 5 mins to Portrush and 10 minutes to the busy shopping town of Coleraine. It is ideally situated for visiting North Coast attractions, including the Giant's Causeway, Dunluce Castle and Carrickarede Rope Bridge. This self catering accommodation is available for holiday rental throughout the year and is ideal for couples or families. There are storage and drying facilities available in the lockable garage making it convenient for golfers, walkers and cyclists. ​ The property is not suitable for party groups. We do not take pets. This is a 'no smoking' property.